Maurice Sklar may be more well known for being a world-class concert violinist having studied under the renowned virtuoso, Fredell Lack than a prophet. 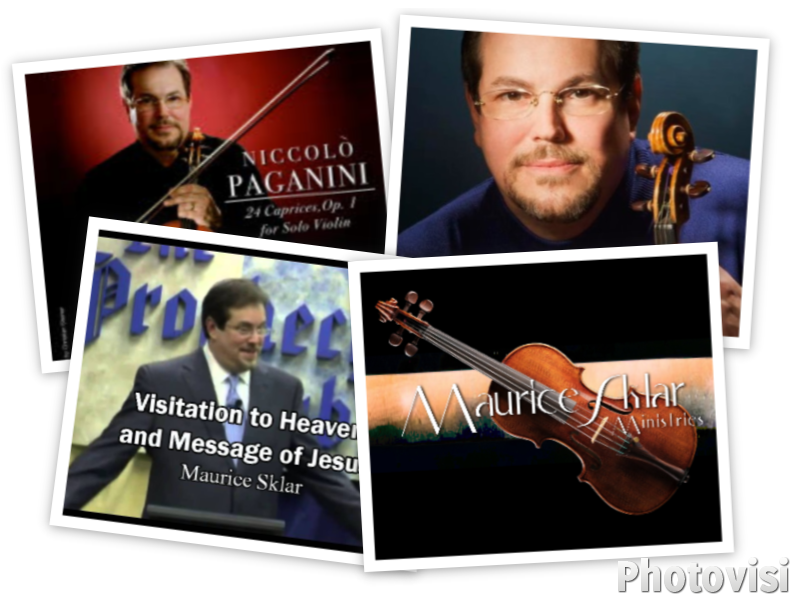 What many may not be aware is that Maurice Sklar is also a Messianic Jew, who also uses his talent to promote excellence in Christian music. 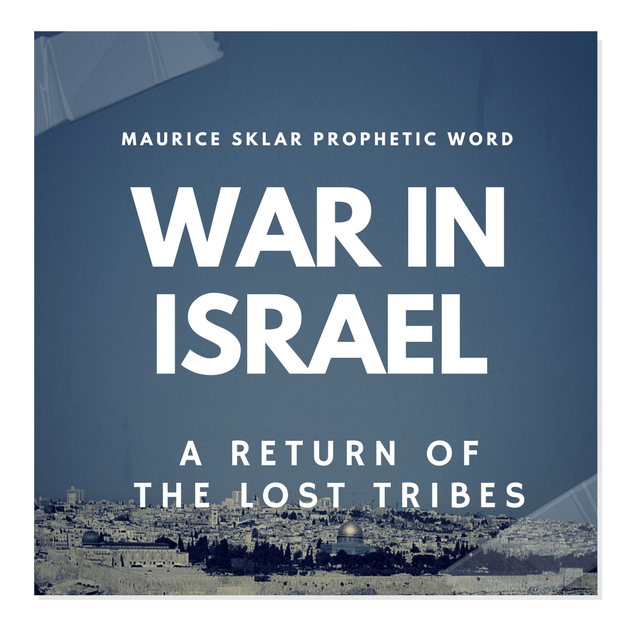 Maurice Sklar is regarded by many to be a prophet of God. Germany will refuse to prop up the euro any more. Basic needs in the poorer European nations will be threatened. Many will lose their money overnight as the stage is set for the financial takeover of the Antichrist system. This is imminent, and the dollar will also follow, although it will survive for a season more. In June 2004, Maurice Skylar was given a word involving America being invaded, and a coming revival in America. Did Maurice Skylar see Russia and China invading America like so many other men have seen? In the midst of this, God’s last and greatest REVIVAL is coming! Many hundreds of millions will be brought to the Lord. America will hit her knees at the first of these shakings. With each calamity will come a greater and greater outpouring of glory and grace that will harvest many. America will then be judged by fire from God directly or from nuclear devastation. In a vision in 1985, I saw America completely incinerated from coast to coast. If this was a true vision from God, then it will come to pass before the coming Messianic Kingdom. I will shake California in a warning, and then there shall finally come the earthquake that I have mercifully withheld for so many years. Millions shall perish in the ensuing floods and the west coast of America shall be removed and fall into the ocean. There shall be 5 terrorist attacks that will hit America in ever increasing destruction upon the major cities. (New York Judgements )One will shake the entire financial world and cripple the once invincible financial power of America. Millions will lose everything in a moment. It will make the crash of the stock market in 1929 look like a little thing in comparison. America will no longer be the financial leader of the world. There is a new generation of prophets about to emerge. They will operate in the miraculous to such an extent that they will confound the unbelieving and smash the idols of this modern age. They will release both supernatural blessings upon My bride as well as unleashing my judgment upon the earth. No one will be able to ignore them. They will emerge both from the church and out of the remnant of faithful, believing Jews. I have begun already to release the mantles of the Endtime ministry of Elijah for the church age. I will release the ministry of creative miracles and the raising of the dead. No disease shall be able to stand in the presence of My last-day prophets. I will cause such a display of My supernatural healing power in revival meetings that the major news networks shall broadcast ‘live’ as limbs grow out, the dead are raised, deformed children, the incurably insane and ‘water-head’ babies are instantly healed. People shall fly in from around the world bringing the incurable and deformed and I will heal them ALL – just as I did in My earthly ministry. My end-time Elijah prophets shall enter into hospitals and empty them. Every one shall be healed. Even the insane and mentally ill shall be cured. Mental hospitals shall be shut down and never reopened. This word gives indication that war is about to break loose in Israel, and Israel wins, and receives more of the land promised to Abraham seeing their borders expand. He calls his children to return to His Land. The Lord says not to caught up in all that is happening on social media, but to take the time to draw closer to Him. Time is drawing near, and we will see Judgement hit this land soon. I suspect even if we are trying to get prepared mentally, and physically….that what is coming is going to be even worse than we could have ever imagined. The only refuge, and safe place is within Him and knowing His voice. We have been here in Israel for over a week now and we have been having an amazing time with the Lord here. Here is the most recent Word I have received while here. 1. The Times of the Gentiles are coming to an end. The end of Adam’s dominion time-lease upon earth is nearly over. The time of Jacobs’ Trouble: the Tribulation period is about to begin. BUT HE (JACOB) SHALL BE SAVED OUT OF IT. It is in this time that I will sovereignly cause all the Jews to return to their home, Eretz Israel. I will shake them out like a tablecloth that a lady would take outdoors and shake all the crumbs out of it by flapping it into the wind. But not one crumb will perish. All shall be returned. 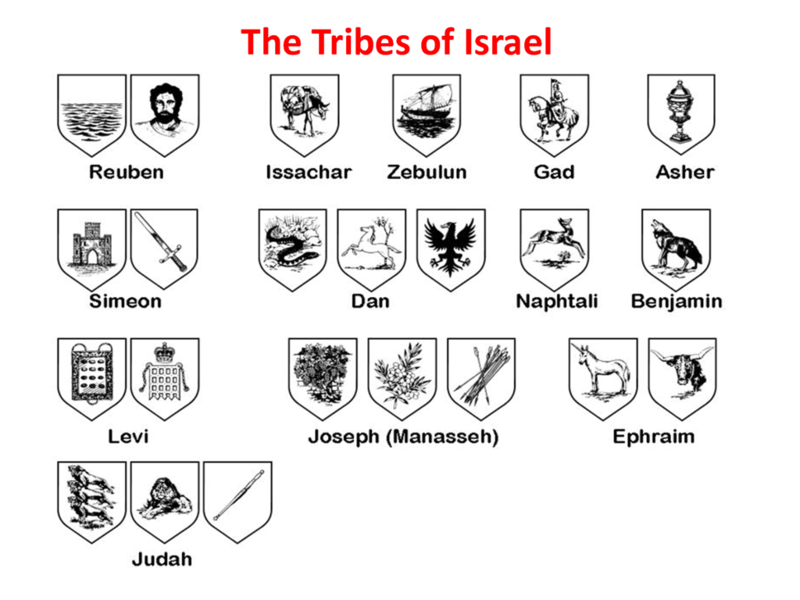 Many of my people are hidden in the nations that have descended from the 10 lost tribes. They are not “lost” to Me. I KNOW THEM ALL. They shall return, along with all the descendants of Judah and Levi. No man knows who or where they are, but I DO. The time has come when the rest of the family will come home to the land I promised them. 3. Yesterday’s moon signals the beginning of the final restoration of Israel. No matter how hard the enemy attacks, he will be destroyed before Me. For I am standing UP now as the LORD of Hosts to fight for her. And when this is over, all her enemies will be dust under her feet. It will be bloody. It will be painful. It will be with great losses both to Israel and her enemies. But, for each Israeli Jewish person, their enemies will pay with 1,000 of their souls when they try to attack her. Beware! You CANNOT and WILL not succeed as Israel’s enemy. 4. The outcome in the coming battles and wars against Israel, I will restore more and more of the land to her that I promised to Abraham. Until finally, all that I promised will be theirs forever when I return to establish My Kingdom and rule from the throne of David in Jerusalem forever. 5. I am coming for My Bride, My faithful children who are waiting for Me in this Midnight Hour. But you say, “I have heard that for so long. And, oh, another prophet coming with the Rapture message. I am tired of hearing it. After all, I have heard it my whole life. So, is this yet another “boy crying wolf” prophecy?! 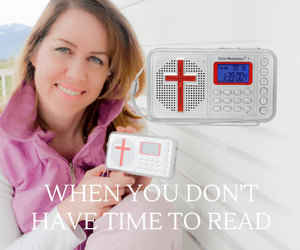 I have been disappointed too many times.” But, Beloved, if I stretch out time to allow more souls to come to Me, and so I can bring more Bridal lamps to their full oil and light, does this offend you?! If it does, you are only thinking of yourself and not others that I have long patience for until all have come in. Then, the Shofar will sound! Do not lose your Blessed Hope for I am at the doors RIGHT NOW! Watch and Pray! Do not let disappointment and bitterness quench out your Hope. Remember, I CANNOT LIE! I AM COMING FOR YOU, MY DEARLY BELOVED BRIDE! Revelation 22:20-21: 0 He which testifieth these things saith, Surely I come quickly. Amen. Even so, come, Lord Jesus. The grace of our Lord Jesus Christ be with you all. Amen. God bless you from Jerusalem, Dear Ones! America, this is what the LORD says to you about your leaders!! You have rejected My leaders I sent to you!! You have turned your back to Me! “Behold the Kings you choose to rule over you! They are mirrors of your own hearts. Do you hate them and mock them? You are only seeing your own reflection. They represent YOU. Just as Israel rejected Me to rule over them and coveted a king that would fight their battles and deliver them, so has America done to Me. My people prayed and asked, “Send us a Godly man to bring us back to where we should be. We repent!” So I raised up Mike Huckabee. You rejected him. Instead, you want to remain in your lust and greed and selfishness and decadence and find someone to solve your problems without turning from your sins, humbling yourselves and repenting of your idolatry. So, you have the man on the left that would finish bankrupting America by stealing what is left from others and giving it to you to consume on your lusts with his Marxist ideals. Then, you choose a witch who is possessed by Jezebel to give you what you want by conjuring it from demonic powers out of hell. On the right, you have chosen a religious,self righteous, angry, bitter, hypocritical,and lying politician, and, of course, your favorite: the man of Babylon who worships and serves power and money. http://www.mauricesklar.com About Maurice Sklar Dr. Maurice Sklar's lifelong musical journey began at age four. Born in New Orleans, his exceptional musical ability took him to the Curtis Institute of Music (where he earned his Bachelor of Arts degree) and the renowned Juilliard School of Music. He answered the call of God to enter the ministry in May 1991. Since then he has performed and ministered throughout the United States, Canada, Europe, the former Soviet Union, Asia and Israel. In June 1997, Maurice was awarded an Doctorate of Ministry degree from Word of Truth Seminary in Huntsville, Alabama, for his pioneering work in returning classical music to the church and for his revival ministry in the Holy Spirit. In addition, he has served as Artist-in-Residence and instructor of violin and viola at Oral Roberts University in Tulsa, Oklahoma, since 1990. In addition to ministering as a psalmist who ushers in the Lord's presence at major meetings, Dr. Sklar ministers powerfully in churches and synagogues. There is a rich anointing on his ministry of the Word, with awesome demonstrations of the Holy Spirit in supernatural healing and miracles, words of knowledge, and prophetic ministry. Healed from depression himself, Maurice has a special level of faith for those who are tormented in the soulish realm of the mind, will, and emotions. As a result, many people are set free from all forms of oppression, depression, and related illnesses. A spirit of revival and restoration continually manifest in his meetings, and a tangible outpouring of God's glory accompanies his music on the violin. Dr. Sklar has appeared on Trinity Broadcasting Network's "Praise the Lord," “It’s Supernatural” with Sid Roth, “TCT”, Daystar, “CBN Asia” with Hugo Chan, "This Is Your Day with Benny Hinn," and "Richard Roberts Live!" programs. He is a frequent guest on "The 700 Club" with Pat Robertson, and recorded for the soundtrack of Kenneth Copeland's movie "Covenant Rider." Maurice has numerous other recordings which can be found at his eStore.